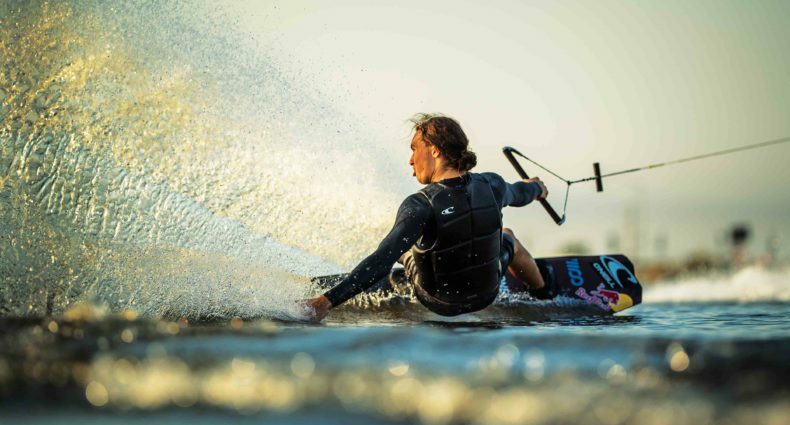 Merced, CA January 30, 2014; Centurion Boats is proud to announce Derek Cook as the newest member of the Centurion professional wakeboard team. As an accomplished wakeboarder and coach from central California, Derek Cook is a natural for the Centurion team. His boat is the Enzo FX22 with the Hammerhead Bow, Centurion’s 2012 sensational entry to the wider bow boat category. The FX22 is Centurion’s premier wakeboard boat in 2014. Derek Cook was born in Gilroy but grew up wakeboarding on the pristine waters of Discovery Bay, California. Derek’s riding has been described as “fresh” because of his use of creativity to mix things up while always looking for new tricks. Derek Cook said, “It’s a great feeling to be a part of the Centurion pro team and to continue my dream of wakeboarding behind the best towboat in the market today. I look forward to setting new accomplishments in 2014 with Centurion and the FX22.” For more information about Derek Cook please visit “Team” on CenturionBoats.com. Good for him. Nice to see someone that is still pushing themselves be rewarded for it.